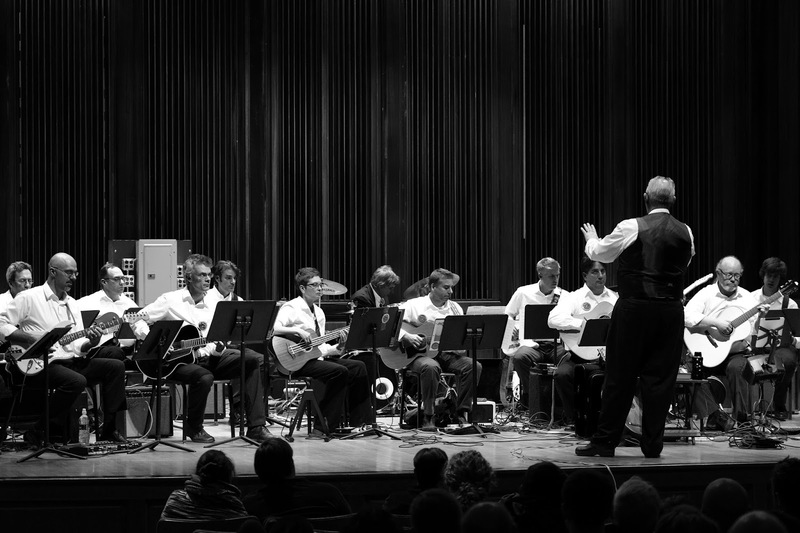 The Center for the Arts is pleased to present composer, performer, and guitar innovator Peter Blanchette directing the critically acclaimed Happy Valley Guitar Orchestra (HVGO) at Sweeney Concert Hall, Smith College on Friday, May 6 at 7:30 pm. The concert debuts HVGO’s long-awaited CD, Unknown Album, featuring recent repertoire from Beethoven’s iconic 7th Symphony Allegretto movement, popular mid-west rockers Wilco, minimalist composer Philip Glass, and South American composer Gustavo Santoalalla. Along with a new piece from Leo Kottke, the concert offers door prizes, special guests, and CD giveaways. 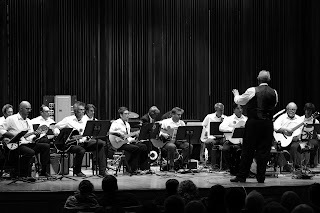 HVGO (www.hvgo.org), an avant-garde music ensemble founded by Peter Blanchette in 2009, is comprised of more than a 15-20 acoustic and electric guitarists from widely varied traditions. HVGO is a resident company of the Northampton Center for the Arts and is supported by the D’Addario Foundation, Massachusetts Cultural Council, and the Frank Lucchesi Trust. Tickets are $15 for adults, $12 for students and children. They are available in advance at www.nohoarts.org and at the door from 6:30 pm on the evening of the performance. Door sales are cash or check only.